My lucky draw prize has arrived from Singapore yesterday. As soon as I opened the package, I can smelled the fragrance from the massaging bar. 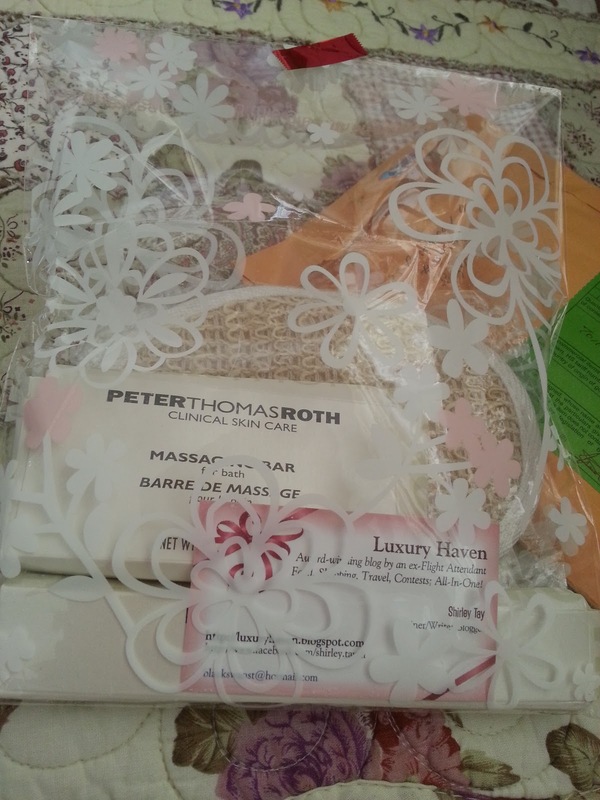 I am one of the lucky winners of Peter Thomas Roth Giveaways from Luxury Havens. Thank you Shirley for taking the trouble to post the prize to me! 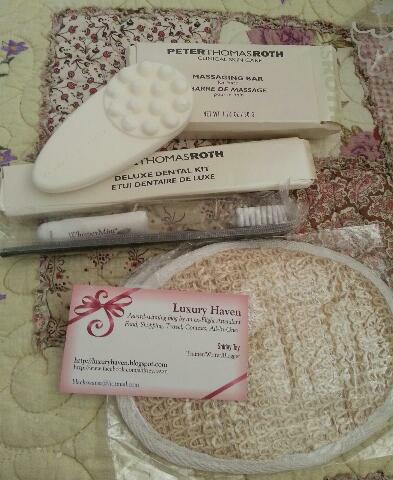 Please check out Shirley's Luxury Haven blog for more giveaways and contest. I will try my luck again for more luxury items which I can't find or come across in where I live. Lucky you, Agnes. You deserve it, as you are a generous person too. This massaging bar is so familiar! Haha, the hotels I stayed during my recent US trip are also use this brand..